Looking for a coaching course? Train In A Day Training proudly offers this coaching course that reveals the fundamentals of how to coach employees effectively. Using proven methodologies and coaching techniques you will develop your employee coaching skills with our blended learning approach. Online video tutorials walk you through the key principles whilst a trained facilitator works with your team to develop their coaching techniques in the classroom. Affordable yet delivering the secrets of coaching with experienced coaches, this coaching course equips your managers to coach and motivate their team. It is important for managers’ to develop their employees in a workplace environment. This coaching course is perfect for line managers and those responsible for the development and coaching of employees in the workplace. Managers will develop their skill set through understanding the principles of coaching before practicing these techniques with a skilled facilitator. Coaching is fundamentally a form of teaching, making it distinct from mentoring, which has a slightly different objective. Mentoring on the other hand, is the act of guiding, counselling and supporting. Mentorship is therefore more voluntary in nature and is less formal than coaching. The mentor and protege endeavour on a broad development goal like becoming a leader. Mentoring encompasses many complex areas of development. On this course, you’ll learn about coaching and mentoring, and the difference between these two methods of leader development. • To ensure managers’ acquire the necessary skills to coach their team members and improve their performance. • Identify the skills required for managers to become an effective workplace coach. • Be able to structure an effective coaching session with members of their team. • Understand how to develop employees, using coaching methods, to foster improved performance. Classroom exercises in how to coach employees effectively including fun elements to practice coaching skills and explore key learning points. Managers explore the concept of coaching, its introduction to business and management, and how it differs from mentoring. During this exercise, managers will describe the core skills required to be an effective coach and are introduced to the GROW model. Participants are tasked with putting their coaching skills into practice through role plays incorporating the GROW model and have the opportunity to practice their listening, questioning and summarising techniques. Managers reflect on how they can implement a GROW coaching conversation within their team and explore their questioning technique. During this activity, managers’ explore the importance of keeping helpful records of coaching conversations with employees. Participants review the key learning points from this workplace coaching course. You’ll experience the benefits of the coaching skills you developed back in the workplace. This is when you will need to recall your learning the most. Thankfully, we’ve an app for that. Your coaching skills process is accessible from your mobile in handy 60-seconds reminders. Delivered in an animated style, with professional voice-overs, you’re only ever a phone or tablet away from a helpful ‘bite-sized’ recall of your coaching skills training. Helen Hinds MCIPD delivers coaching and mentoring training courses to commercial and public sector organisations to help them coach colleagues and mentor effectively. Having worked with an impressive client portfolio at board level coaching both in UK and overseas, Helen brings a unique wealth of experience and insight to this coaching training course. 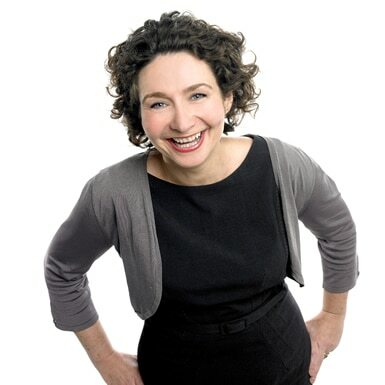 Helen consistently achieves the highest delegate feedback ratings of all our trainers. If you’re interested in participating on a leadership training course, you can be sure that Helen comes highly recommended. Caleb Storkey coaches both business owners and senior managers from both private and not-for-profit organisations. Caleb is a high-energy leader and team player who will inspire you on this coaching course. Caleb’s unique experiences in coaching teams from 3 – 60 strong offers valuable insights to be shared with you and your team. As well as working with individuals and companies as a coach to help them grow, Caleb has a track record of delivering results by facilitating clear thinking and generating real action. Your team will be enthused by the contribution Caleb delivers in this coach the coach training course. Our unique approach to blended learning begins with video learning to impart the fundamental knowledge on each leadership topic. Following this, you can enhance skills with a coach the coach training day. Lasting 6 hours, the day’s content is led by a trained facilitator tasked with developing your fundamental coaching skills through role plays, games, problem-solving or any relevant training intervention. Contact a training consultant and let’s see how we can learn together.